- Issa party for the Hip Hop Heads! - A chance for artists to network and get involved! FREE NETWORKING EVENT! 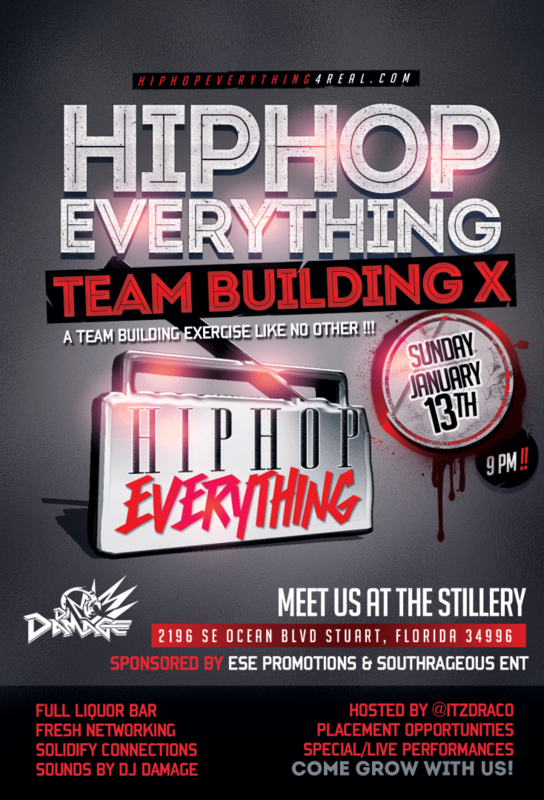 Show face and meet our HHE sponsored artists, in-house DJs, affiliates and Hip Hop heads - all in a new market, Stuart Florida at The Stillery! Enjoy live performances, a full liquor bar, an awesome time and the opportunity to get acquainted with successful artists and brands dedicated to today’s INDIE movement! Artists who sign up at the door early get a chance to perform their single before the night is over; limited slots so get there early!